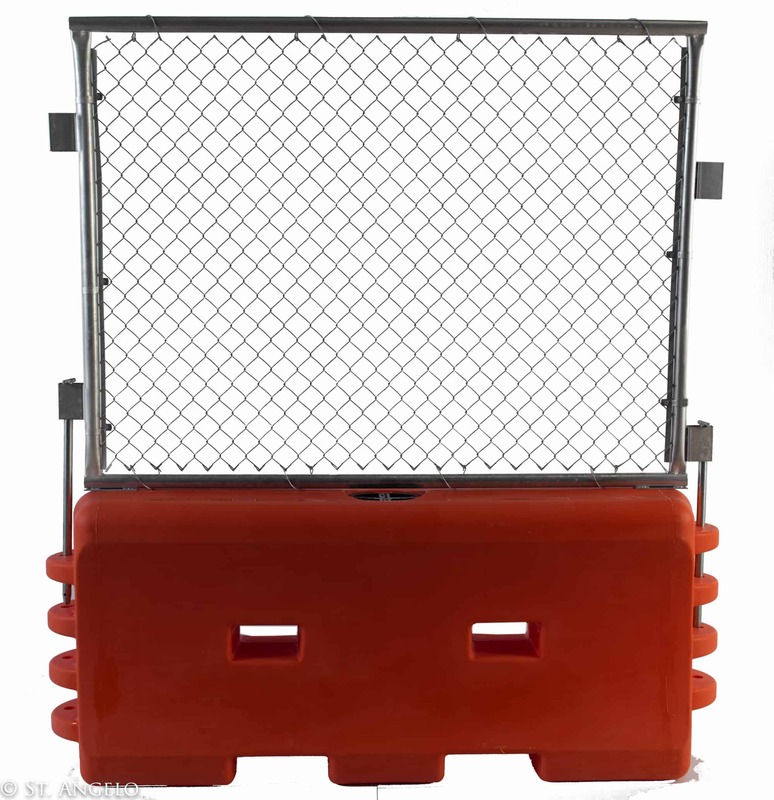 We offer a variety of durable polyethylene water barricades to fit the requirements of your particular project. Our options include water barriers with attached fence panels for added height and security, and water-cable barrier walls to stop vehicles in the event of an accident. Not sure what you need? Tell us a bit about your project and we’ll help you find the water barriers that will work for you. You can click here to contact us for more information or to get a free quote. Durable polyethylene plastic minimizes cracking and breaking. Hinge design for 30-degree pivot between sections. Will accept plastic or chain-link fence. Standard colors are orange or white. Additional colors available upon request. NCHRP approved as TL-1, TL-2, and TL-3. Fence Panel easily retrofits to the TrafFix Water-Wall to create an imposing and secure barrier. 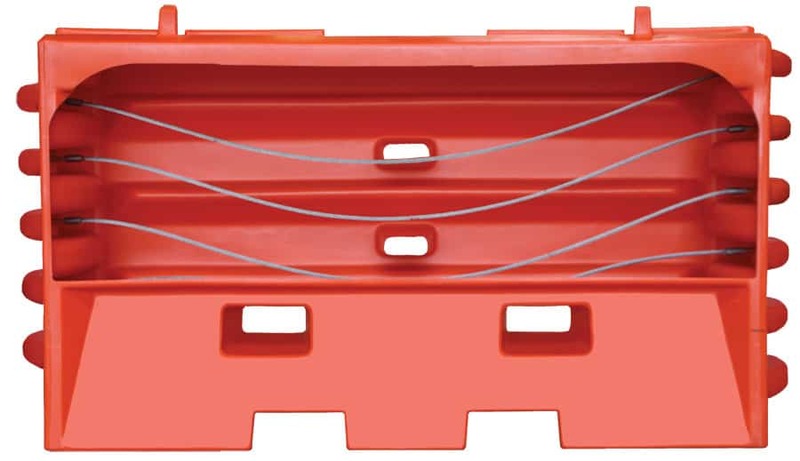 Interlink with TrafFix Water-Wall to provide better overall stability and allows for changes in ground height. No need to remove fence to fill TrafFix Water-Wall. Fill caps are easily accessible with fence installed. Freestanding, continuous, longitudinal water-cable barrier. Safetly control and stop vehicles. Water in barricades absorbs impacting vehicles’energy and cables using TL-2 and TL-3 rating.